We are expanding our global footprint in recognition of the worldwide attention improvisational theater and film is gaining… and which we celebrate with abandon at UNNY. YES AND, in honor of our INTERNATIONAL friends who have helped us in expanding Unscripted New York, we proudly announce…….<insert drumroll here>….UNSCRIPTED FEST! Watch for us in 2016! Taking our Festival to the next level means, sadly, that we must defer production for 2015. But look for us to come back in 2016 with NEW directions, NEW sponsors, NEW energy and focus…Who knows! Lots can happen and we can’t wait! Please note and bookmark our new website address: unscriptedfest.com. What makes Unscripted Fest Unique? Unscripted Fest is the ONLY improv festival to showcase improvisers who go beyond long form and short form to create ground-breaking, original, Unscripted Theater. Unscripted Fest is the ONLY festival dedicated to showcasing films with improvisation at their core. Unscripted Fest is the FIRST film festival to showcase all-improvised films at HBO in New York City. Thanks to Ted Smits of TedTV -- Brilliant Director and Master Collaborator! Thank You Smuttynose Craft Beer! Special Thanks to Smuttynose Brewing Company for coming back as our first 2014 Premier Sponsor! We look forward to enjoying your quality craft beer at Unscripted New York! Unscripted New York is proud to celebrate artists who work without a script and who create their art and tell their stories entirely in the moment. 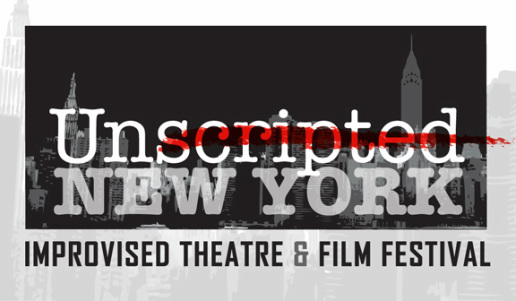 Unscripted New York is a multi-day festival of improvised theatre and film funded and staffed entirely by volunteers. 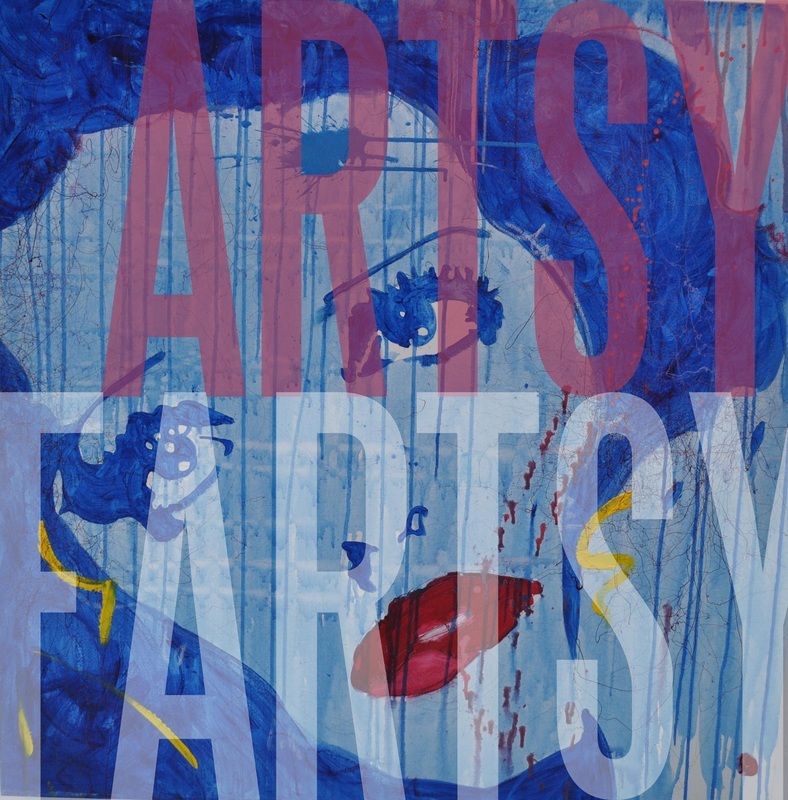 This year's festival is produced in association with Artistic New Directions and Artsy Fartsy Productions. Unscripted New York 2014 featured both local and international Films and shows, workshops with renowned improvisation teachers, and, once again, showcased a digital video improvised from conception to screening and produced entirely during the festival. Unscripted New York again created a digital video, improvised from conception to screening, produced entirely during the festival. Watch Crossroads of the World here. Artistic New Directions (AND), a performing arts organization (a 501(c) 3 not-for-profit company) that supports performing artists, writers, directors and their projects from inspiration to production. Contributions to Unscripted Fest and to AND are tax deductible according to law. We couldn't produce Unscripted Fest without the support of Artistic New Directions and the undying support of Kristine Niven and Janice Goldberg, Artistic Co-Directors. Artsy Fartsy Productions produces comedic short films, both scripted and improvised, including The Infinite Need a webseries about casting workshops, and The Professionals, and the award-winning Tweak Performance. Artsy Fartsy Productions was also instrumental in the creation of the festival's first two all-improvised shorts: Actuality, and That Time. More information about Mandy May Cheetham.